The film was later given a lackluster Blu-ray release by MGM Home Entertainment both as part of a three-film set entitled, The Classic Collection and as an individual release. We have trouble understanding how any movie made in 1939 and released in 1940 can be “impossibly dated,” but one must certainly admit the validity of Spoto’s assertion that the film could be perceived as “woefully prolix.” This would be the result of Selznick’s insistence that entire paragraphs of the novel’s dialogue should be included in the script—even if the same points might be made visually or with less ornate verbiage. Selznick’s fingerprints are all over the film to be certain, but it would be an incredible injustice and completely misleading to ignore the fact that Hitchcock’s influence is just as dominant and can be seen in every frame—and there are traces of the director’s humor on evidence (even if he would later claim otherwise). As a matter of fact, Hitchcock had been interested in purchasing the rights to Daphne du Maurier’s source novel while he was still working in England but the cost of the property proved prohibitive. This and the fact that Rebecca contains elements that Hitchcock would return to in his later work should be evidence of the director’s sincere affection for the material. Rebecca might not be the version of the film that Hitchcock originally wanted to make, but the director was wrong when he claimed that it isn’t a Hitchcock picture. It is a Hitchcock film, but it is a Selznick production of a Hitchcock film. This subtle distinction is what really bothered the director. To be fair, the Monte Carlo sequence works much better than this would have, because the audience understands that Maxim de Winter has been away from Manderley for quite some time in an effort to forget his past. It is also much more mysterious. However, the pages of endless dialogue work much better in the novel, and the film is at its best when Hitchcock is allowed to tell the story in a visual manner. What’s more, Selznick’s generic cutting style wouldn’t have benefited the film. Luckily, Alfred Hitchcock knew a way around Selznick’s final cut and was one of the few directors capable of forcing aspects of his own personal vision upon the producer by cutting in the camera so that the footage could only be assembled in the manner that Hitchcock envisioned. Selznick wasn’t a fan of what he called the director’s “damned jigsaw cutting,” but this is exactly what he was paying for when he brought Hitchcock to America. In retrospect, it might be said that much of what hasn’t dated in the film seems to belong more to Hitchcock than to Selznick. This may be an oversimplification, but Selznick’s insistence on fidelity created a more literary melodrama with more unnecessarily protracted dialogue than is typical of a director who prefers to tell his stories visually. If the film seems dated to contemporary audiences, this is undoubtedly one of the primary reasons. Another side effect of Selznick’s meddling is the sometimes overwrought and syrupy score provided by the talented Franz Waxman. Selznick obviously didn’t trust Hitchcock’s wonderful visuals to make their point and musical punctuation overwhelms what might have been poignant subtleties had the director been left to his own devices. The score is very good at conveying the film’s gothic and ghostly atmosphere, but there is more “Mickey Mousing” than is necessary, and there are cheesy (and unnecessary)musical punctuations every time a character reacts to something. The production values also seem to belong to Selznick, and Alfred Hitchcock has gone on record about his disappointment about the film’s production design. Rebecca has a gloss that is tonally different than even the glossiest of Hitchcock’s later films. Whether this is a good or a bad thing will depend on the viewer. 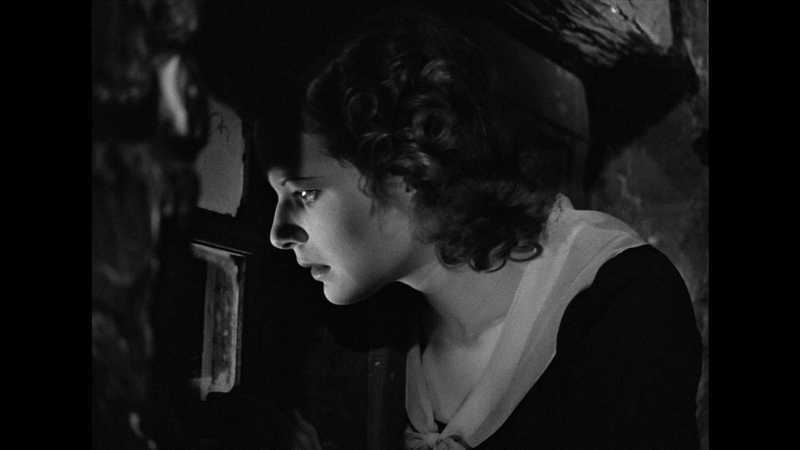 On final analysis, Rebecca is a brilliant Hitchcock/Selznick hybrid that rightfully earned eleven Academy Awards nominations (Best Picture, Best Director, Best Actor, Best Actress, Best Supporting Actress, Best Cinematography, Best Adapted Screenplay, Best Art Direction, Best Film Editing, Best Score, Best Visual Effects) and won in the Best Picture and Best Cinematography categories. The film is required viewing and marks an extremely important benchmark in not only Hitchcock’s career but also his artistic evolution. The stormy production created by a thunderous crashing of two giant egos resulted in more than a great film. It resulted in the creative growth of an already brilliant director. Criterion has once again given cinephiles a beautiful Blu-ray package. The special 2-disc set looks like most of their standard single disc releases. Both discs are housed in their standard clear case with a cover sleeve featuring an attractive painting by Robert Hunt. Inside the case, there is a collector’s booklet that features an essay by David Thomson entitled “Welcome to the Haunted House.” Thomson is the author of a long list of film-related books, including: Showman: The Life of David O. Selznick, The Moment of ‘Psycho,’ Rosebud: The Story of Orson Welles, Scorsese on Scorsese, A Biographical Dictionary of Film, The Whole Equation: A History of Hollywood, Moments That Made the Movies, and a ridiculous number of other titles. This reviewer found some of his scholarly insights somewhat questionable, and wonder why Criterion didn’t simply utilize the two essays that were included in their original DVD release years ago. These essays were written by Robin Wood and George E. Turner, and they were more informative than this new piece. Luckily, Criterion more than makes up for this minor issue by including a section entitled “Hitchcock vs. Selznick.” This section is essentially a collection of four memos from the production of Rebecca (all of which were featured on the second disc of their DVD release several years ago) with a short introduction by David Thomson. One must admit that having these memos collected in a booklet is preferable to including them on one of the discs as it makes them much easier to read, and their inclusion here makes this booklet a significant addition to the overall package. Our only complaint is that more memos weren’t included. It would’ve been incredibly awesome if Criterion had included a larger book containing all of the memos that were included on their earlier release of Rebecca! Both disc menus make use of production stills and Franz Waxman’s score, and they are up to Criterion’s usual high standards. Those who own other Criterion discs will know exactly what to expect. The result is beyond stunning as there is an incredible improvement in quality when one compares this release with the earlier MGM Home Entertainment release. For one thing, the grain structure has been improved upon and is better resolved. There is a more film-like quality to the overall image in this release, as it exhibits a very natural contrast and better black levels (which are incredibly deep without crushing). Fine detail is also vastly improved, density is much better and indeed quite impressive, and stability is terrific. It also looks absolutely incredible in motion. The image has been cleaned of any distracting blemishes (such as age chemical imperfections, stains, scratches, cuts, dirt, and other damage). There also aren’t any signs of overzealous manipulation or improper compression. The only negative aspect of the new transfer is that there seems to be marginally less information on the sides of the frame when compared to the other releases, but there is more information at the top of the frame. You might say that everything evens out rather nicely in this respect. In any case, this seems to be the only aspect of this new release that nitpickers will have to complain about. Everything else is beyond reproach, and the reasonably high bitrate makes the most of their beautiful work. The film’s soundtrack was also given a new restoration by Criterion. The resulting uncompressed monaural (Linear PCM) audio track is as good as anyone has a right to expect, although it isn’t quite the upgrade in quality that the image received. As a matter of fact, it is relatively identical to the MGM track in many respects. The differences between the two tracks will be directly related to Criterion’s efforts to clean the track of imperfections. While the mono mix cannot be described as dynamic, it is certainly faithful to the original as it exhibits clear and well-prioritized dialogue, a good representation of Franz Waxman’s score, and the effects are strong and undistorted. The flat nature of this extremely old track may disappoint modern ears, but purists are certain to appreciate the final result. 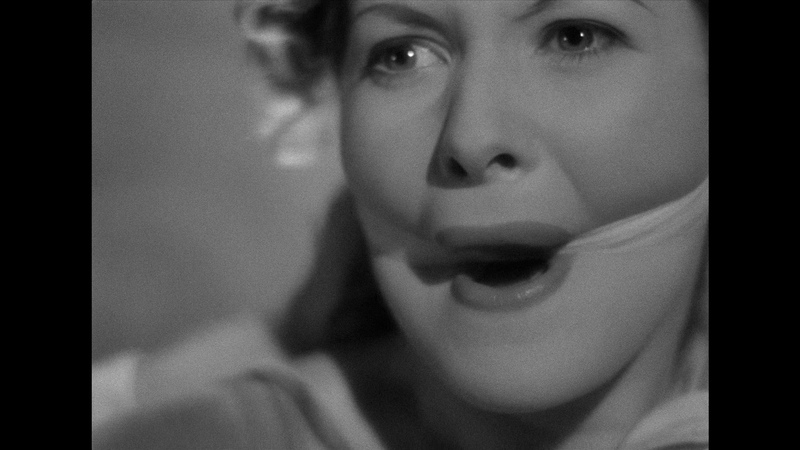 When Criterion originally released Rebecca as a two-disc set in the DVD format, it was impossible to imagine that anyone would ever include a superior supplemental package for the film. However, this release contains quite a bit more material than that release, and not a single one of these added features could possibly be described as “filler.” Everything included here should be an incredibly fulfilling experience for anyone who admires Alfred Hitchcock, David O. Selznick, Daphne du Maurier, or classic cinema in general. There are over 3 hours and 56 minutes of video-based supplemental entertainment on the disc—the accumulation of which would have easily earned the disc a five-star rating all on its own. However, they have also included over 3 hours and 30 minutes of audio based supplements (and this isn’t even counting the commentary track)! Leonard J. Leff is the author of Hitchcock and Selznick: The Rich and Strange Collaboration of Alfred Hitchcock and David O. Selznick in Hollywood. The book is a well-researched and incredibly comprehensive account of Hitchcock’s working relationship with David O. Selznick and the films that Alfred Hitchcock made during that period. Frankly, it is one of a handful of books on the director that is absolutely essential. Leff brings some of this knowledge to this track, but it leans more towards scholarly analysis. We have no doubt that this will likely disappoint a lot of fans. However, Leff’s archival Criterion track is a much better commentary than the one provided by the late Richard Schickel for the MGM release. Some might be put off by the dry and decidedly academic tone, but those who give it a fair chance will find it well worth their time. This feature allows audiences to experience the film with only the music and sound effects. It is presented in the Linear PCM format. Film historians discuss the uneasy relationship between David O. Selznick and Alfred Hitchcock during the making of the film. It offers more generalized “behind the scenes” information than many of the more comprehensive documentaries of its kind, but there is enough information to make the viewing experience rich and rewarding. It was nice to learn that Criterion decided to port this over from the earlier MGM DVD and Blu-ray releases as this set would have suffered considerably without it. Molly Haskell and Patricia White discuss the film’s enduring appeal as well as some of the thematic concerns that contribute to that its ongoing popularity. The conversation is decidedly casual but always intelligent. Unfortunately, it doesn’t delve terribly deep into the themes discussed with specific examples that illustrate their observations. It is certainly a worthwhile addition to the disc’s supplemental package, but one wishes that the conversation delved a bit deeper. One wishes that the film’s original release trailer could have been included here, but is always nice to see vintage trailers included on a disc and this is no exception. It exploits the success of the film’s original release as well as its well-documented awards success. Elisabeth Aubert Schlumberger’s hour-long documentary about the life of Daphne du Maurier was originally produced for French television and is a multi-lingual production presented in both French and English. Much of the information divulged is revealed through the French narration, but there are a number of English language interviews and some archival footage of the author. One of the more interesting elements featured within the film is the BBC footage of the author taken later in her life. Those disappointed about the omission of Criterion’s essay about du Maurier can rest assured that the inclusion of this program more than makes up for its absence, as it is much more in-depth and engaging. In 1975, NBC’s Tomorrow devoted an entire episode to the “Master of Suspense” and it is included here in all of its fabulous glory. The director is certainly feeling his age here but he is still an extremely entertaining raconteur. The Tom Snyder interview covers a wide variety of topics, including cockney rhyming slang, his film work, entertaining stories, his then-upcoming film (Family Plot), and a wide variety of other engaging topics. Some of this will be a rehash for a lot of fans, but there is quite a bit of unique material as well. Almost as great as the amazing interview with Alfred Hitchcock is this incredibly charming interview with Joan Fontaine from a 1980 episode of Tomorrow (again hosted by Tom Snyder). The actress has a dignified grace and an undeniable charm that takes the viewer by surprise. She candidly discusses her rivalry with Olivia de Havilland as well as the production of Rebecca, her then current projects, politics, old Hollywood, and aging. Every word of it is a pleasure to witness, and it is an incredible addition to the package. It is nice to see that Criterion has included memorandum between Alfred Hitchcock about casting the unknown protagonist eventually played by Joan Fontaine. These memos discuss various actresses considered for the part in no uncertain terms, and it all makes for instructive reading. The text is illustrated with publicity photos of the various talent discussed. All of this provides strong contextual information for the screen tests that have also been included on the disc. Unlike the previous MGM Blu-ray, this new Criterion release has ported over their entire collection of tests from their earlier DVD release (which is now out of print). These are priceless production artifacts from one of Alfred Hitchcock’s most important film, and it is instructive to see what he and Selznick were up against. In total, there are over 41 minutes of screen test footage from some of Hollywood’s biggest stars of the era! These hair and makeup tests are presented in a kind of split screen and features Anne Baxter, Margaret Sullavan, and Vivien Leigh in various wigs and make-up designs. There is a short contextual introductory commentary by Leonard Leff that plays over the beginning of this silent footage. It is evident from these tests just how late in the process final casting decisions were made It is an incredible treat to glimpse this sort of test footage from such an old classic! Joan Fontaine’s costume tests are equally interesting as they showcase Joan Fontaine in various costumes—some of which weren’t included in the final film. If the actress looks less than enthusiastic, this is due to the fact that she was under an enormous physical and emotional strain during the weeks leading to the production. Needless to say, this raw footage is of enormous value to Hitchcock fans and devotees of classic cinema. This Criterion interview with Craig Barron is essential for anyone interested in special effects. The viewer is taken through a number of effects included in the film as they are explained in a very general way. Some will already know much of this information, but others will find it revelatory. It should certainly add to one’s appreciation of the film. Joan Fontaine speaks affectionately about Hitchcock and discusses working with the director during the set of Rebecca. She is articulate and incredibly charming throughout the entire length of the interview, and she leaves us wanting to hear more about her days in Hollywood. Fans should be very pleased to have this carried over from Criterion’s earlier disc because it is a very instructive twenty minutes. Judith Anderson’s interview is equally informative and articulate, and it is really a treat to listen to the actress as she talks about her experiences shooting the film, and the differences between acting on the stage and the screen. I dare say that interviews with Judith Anderson are rather rare, so having this included here is a wonderful treat. Perhaps the most interesting of the three radio adaptations of Rebecca—although each version is interesting for very different reasons—is this first episode of Campbell Playhouse, the radio program produced by Orson Welles. The program followed closely behind the infamous War of the Worlds broadcast and featured Welles in the role of Maxim de Winter, Margaret Sullivan as the second Mrs. De Winter, Mildred Natwick as Mrs. Danvers, Agnes Moorehead as Mrs. Van Hopper, and an assortment of other “Mercury Players.” It also features a music score by Bernard Herrmann (who would go on to score a number of Alfred Hitchcock’s most beloved films). Those who notice the identical dialogue should be reminded that this isn’t an indication that the film was directly influenced by this radio adaptation because both productions drew directly from Daphne du Maurier’s classic novel. One element of the program that should be of special interest to both fans of the film and the novel is the short television conversation with this esteemed author. It seems scripted and isn’t particularly informative—but what it lacks in information, it makes up for in cheekiness and novelty. It is probably the highlight of the entire broadcast. Following the success of the Selznick/Hitchcock film version of Rebecca was this Lux Radio Theatre adaptation of the film starring Ronald Colman as Maxim de Winter, Ida Lupino as the second Mrs. de Winter, and Judith Anderson as Mrs. Danvers. Interestingly, Ronald Coleman was considered for the role of Maxim in the film version, but the actor chose not to appear in that landmark production. The program aired on February 03, 1941 during Rebecca’s Academy Awards campaign, of which this particular broadcast was very much a part. (The Oscars were held on the 27th of that same month.) Speaking of awards, Cecil B. DeMille presents David O. Selznick with an award from Fame magazine for his work as a producer at the end of the program. In light of the fact that both Laurence Olivier and Vivian Leigh had lobbied quite aggressively for Leigh to win the role of “I” in Hitchcock’s film version, this radio program (which was produced an entire decade later) offers listeners the opportunity to experience the ex-Scarlet in this very different role. It is a rather instructive experience, but most will be quite happy that the part was given to Joan Fontaine after hearing Leigh in this radio version—that is if seeing the screen tests didn’t already convince you. In addition to Olivier and Leigh, Betty Blythe can be heard in the role of Mrs. Danvers. With such a mind-boggling collection of wonderful extras, it seems almost ungrateful to complain about the few features that haven’t been ported over from previous releases of the film, but one imagines that most people who are considering an upgrade will be wondering about this particular matter. There are quite a few text-based features from the original Criterion release that didn’t make its way to this new package—including an essay on Daphne du Maurier, the final results of a test screening questionnaire, an article about differences from the novel, and some of the production memorandum. However, most of the memos can be found here in some form. For example, that early release contained a gallery entitled “We Intend to Make ‘Rebecca,’” that featured several pre-production memos. These have all been included as part of the collector’s booklet. The memo’s found in the section of that disc entitled “The Search for ‘I’’’ have been included on this disc to contextualize the disc’s collection of screen tests. Frankly, these omissions aren’t particularly troubling. The same information is covered elsewhere on the disc. For example, the information found in the essay about Daphne du Maurier is more than covered in the included documentary about the author. There is also a huge gallery of photos included on that release that wasn’t included here, but this hardly seems worth mentioning. The photos are certainly fascinating, but one grows weary clicking through such a gallery—and the same can be said about the aforementioned text screens. More unfortunate is the exclusion of the 1940 Annual Academy Awards Ceremony Footage (01:37). The footage was silent but a commentary by Leonard Leff was included for this feature. It is strange that Criterion didn’t carry over this short clip. Even more troubling is the exclusion of the excerpt from Hitchcock’s Interview with Francois Truffaut (Criterion – 07:54) and (MGM – 09:15), which was included in some form on both the earlier Criterion DVD and the MGM Blu-ray release. Considering the fact that their other Hitchcock Blu-rays have included this feature, it is extremely strange to discover that Criterion doesn’t include it here. The excerpt from Hitchcock’s Interview with Peter Bogdanovich (04:20) is also not carried over to this release but was included on MGM’s Blu-ray edition. It is easier to understand the exclusion of a short featurette from the MGM Blu-ray entitled The Gothic World of Daphne du Maurier (19:02). After all, the documentary that is included in this package (Daphne du Maurier: In the Footsteps of ‘Rebecca’) covers the same territory and in more depth. However, it would’ve been nice to have it included here as it is a charming primer and could’ve made a nice companion to the longer documentary. One doesn’t miss MGM’s Commentary with Richard Schickel, but it is another curious omission. To be perfectly honest, Schickel’s commentary was incredibly sparse. He seemed bored as he mumbled his way through the track. He didn’t say very much and what he said usually wasn’t rich with information. It’s difficult to enjoy listening to an apathetic commentator. Perhaps Criterion understood this and didn’t want their disc marred by such a track. Everything else is here and most will agree that this is the edition to own. The Criterion Collection’s release of Rebecca covers the film’s production in such a comprehensive manner that it altered our approach to this article. We usually include a rather detailed production history for the Hitchcock films that we review. However, in this particular instance, such an approach could potentially rob certain viewers of the richly rewarding experience provided by this outstanding supplemental package. Both this and the incredible image and sound transfers make this Blu-ray package an easy recommendation. It is absolutely essential. Note: This release is also available in a DVD edition. Maureen O’Hara had made two small film appearances before starring in the film, but this was the first film that she made using her famous stage name. …Jamaica Inn was an absurd thing to undertake. If you examine the basic story, you will see that it’s a whodunit… All sorts of things happen in that tavern, which shelters scavengers and wreckers who not only seem to enjoy total immunity, but who are also kept thoroughly informed of the movements of ships in the area. Why? Because at the head of this gang of thugs is a highly respectable man – a justice of the peace, no less –who masterminds all of their operations. Hitchcock was a director that usually enjoyed a very comfortable level of creative freedom. He was considered Britain’s best film director, and was given a rare amount of control over his films. If Alfred Hitchcock’s lengthy monologue about Jamaica Inn seems overly negative, it is probably due to the unusual amount of control that Charles Laughton and Erich Pommer had over the production. He elaborates about of Laughton’s interference later in the same interview. Directing Jamaica Inn was probably good practice for the director, because his next film would be made for David O. Selznick. This film would be Rebecca, which was based on another novel by Daphne du Maurier. As a matter of fact, the author wasn’t particularly happy with Alfred Hitchcock’s adaptation of Jamaica Inn. She had to be convinced that Rebecca would be more faithful to her novel… but all of this seems to be a slight digression from the subject of this article. The film certainly bears the mark of the master, but it isn’t a film that showcases his usual storytelling methods. Contemporary audiences might have the impression that Jamaica Inn was one of the director’s failures. This was not the case. As Hitchcock mentioned in his interview with François Truffaut, the film was quite a hit at the box office, and critical reception wasn’t particularly bad either. Maurice Yacowar’s essay about Jamaica Inn (featured in Hitchcock’s British Films) claims that the film was poorly received, but when one looks at the actual reviews it becomes clear that the reception wasn’t particularly negative. There were certainly some negative reviews, but these were balanced by a large number of excellent reviews. Variety was one of the first publications to sing the film’s praises. The BFI Monthly Film Bulletin was equally enthusiastic, but disagreed with Variety’s claim that the film was “typical” of Hitchcock. The Portsmouth Evening News went even further in their praise of the film. “This picture has been made by Laughton’s independent film unit – in collaboration with Erich Pommer – which gave us that very disappointing The Vessel of Wrath: a film of face-pulling grimaces, and slow action. But this is vastly better, and I rank it among the best films I have seen so far this year. The Aberdeen Journal praised both Laughton and Hitchcock in no uncertain terms. “Two names commend at once this version of Daphne du Maurier’s novel of the bad old Cornish wreckers — Charles Laughton and Alfred Hitchcock. Expectations are high and there is no disappointment. As the villainous squire who satisfies his taste for luxury by getting a band of ruffians to lure ships on to the Cornish rocks and then to plunder them, Mr. Laughton gives a characteristic performance. It is not, perhaps, original Laughton, but the actor straddles the scene and Mr. Hitchcock serves him particularly well in bringing out the ‘asides’ to detail which Mr. Laughton can do so well with the flicker of an eyelid or the wave of a wrist. Independent Exhibitors Film Bulletin also enjoyed Jamaica Inn, and felt that it had immense commercial appeal. …Charles Laughton is virtually the whole show. Expertly he creates a fascinating madman whose insanity becomes more intense, more apparent as he comprehends his approaching doom. Leslie Banks is excellent as the crude tool in Laughton’s hands. Marie Ney impresses as his wife. Newcomer Maureen O’Hara is attractive and a capable young actress. Emlyn Williams etches another of his distinctive heavy characterizations. Supporting cast is uniformly good. Of course, there were a few critics that felt that the film wasn’t up to the usual Hitchcock standards. The Yorkshire Post published a particularly negative review. “…That Mr. Hitchcock should be directing the picture gave promise of novel treatment. Yet Mr. Hitchcock’s technique, usually so refreshing even though he does not always take care to conceal the improbabilities in the story, never once came through in Jamaica Inn. Perhaps he was worried by the historical setting — his speciality is modern times — but oddly enough, there was none of that suspense which he can so expertly create. The film passed from shipwreck to smugglers’ inn, from squire’s mansion back, via smuggler’s inn, to the storm-lashed coast and a final night chase along the moonlit turnpike road. Here, in fact, were all the right ingredients. Yet somehow one didn’t care a hoot what happened — and I think the reason, partly, was that not one of the characters was ever firmly planted as a real person: Mr. Laughton’s make-up was singularly grotesque, and I felt that behind it were not even the brains to direct one common smuggler, let alone a dozen. It was understood that Sir Humphrey came of tainted stock, and that insanity would gradually present itself. And so it did — but not in that eerie, horrifying manner which lies well within Mr. Laughton’s range. Throughout he remained a merely ridiculous figure — even, his eventual suicide was rather absurd and provoked only titters. Mr. Leslie Banks, as chief smuggler, blundered around and looked suitably dangerous; poor Miss Ney just suffered; Mr Robert Newton was a resourceful preventive officer, but in his dealings with Miss O’Hara spelt romance with a very small “r.” Miss O’Hara herself is sweet and pretty — but aren’t they all? If scholars are under the impression that Jamaica Inn was poorly received, one reason might be a review that was published in The Times. …In the midst of a story which appears to have been made for schoolboys — the film is adapted from a novel by Miss Daphne du Maurier — there appears one curious and picturesque character, the character who is played by Mr. Charles Laughton… The wind blows nearly always, the nights seem to be very long and the scenes in daylight few, the waves are spectacular, and there is a great deal of fighting, riding, hiding, pursuit, and escape. In fact the director, Mr. Alfred Hitchcock, seems for the moment to have given up his method of slow and deliberate tension; it is a film of downright and in no way subtle action. Certain reviews seem to report both the positive and the negative elements in Jamaica Inn, and these moderate reviews are probably a fair representation of the film’s attributes. The review published in Harrison’s Reports is one such example. Frank S. Nugent was wise enough to sort out the reasons behind some of the more problematic elements of Jamaica Inn. He believed that the control that Laughton had over the production was detrimental to the final product. His review isn’t particularly positive, but it does find room for praise. 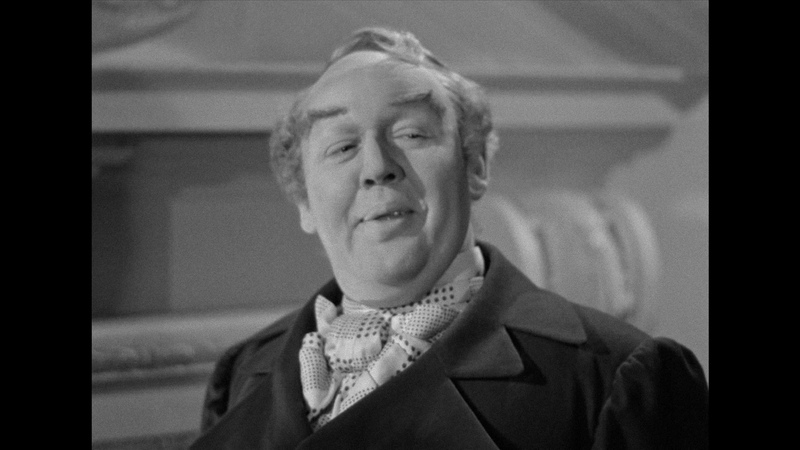 “Having set his own standards, Alfred Hitchcock must be judged by them; and, by them, his Jamaica Inn… is merely journeyman melodrama, good enough of its kind, but almost entirely devoid of those felicitous turns of camera phrasing, the sudden gleams of wicked humor, the diabolically casual accumulation of suspense which characterize his best pictures. Without them, Hitchcock is still a good director, imaginative and cinema-wise, but with no more individuality than a dozen others in his field and subject, like them, to the risk of having a mere actor run away with the film. That had never happened to Hitchcock before. His pictures always were his. 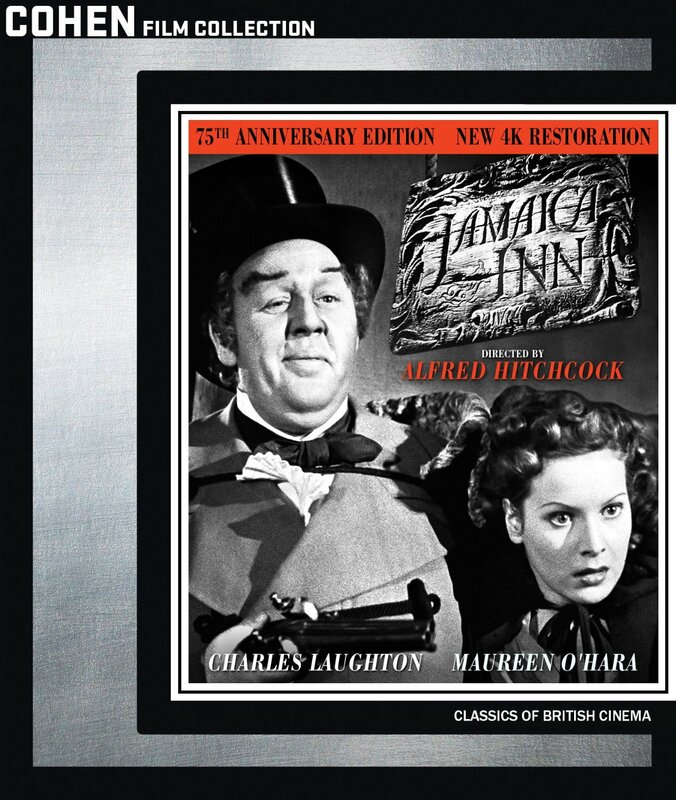 But Jamaica Inn will not be remembered as a Hitchcock picture, but as a Charles Laughton picture. It bears the Laughton stamp as unmistakably as The Thirty-nine Steps bore Hitch’s. Perhaps that is the root of the evil, if it is an evil. For Hitch never faced a player his size before (and we’re not thinking only of gross tonnage). With two such stalwart individualists battling on a bare sound stage they might have come to a draw. But Laughton had more than weight on his side: he is co-owner of the producing firm, Mayflower Productions, and in the film he wears costume and a putty nose. No director can spot Mr. Laughton a putty nose and still hope to lead him by it. With Laughton setting the pace then, which is jolly enough, though slower than Hitch would have ordered it, Jamaica Inn has become a pardonably free translation of Daphne Du Maurier’s romantic novel… Mr. Laughton’s relish of the squire—it was a clergyman in the novel, but no matter—is infectious. Conscious as we were that he was overplaying him unashamedly, there is that to Mr. Laughton’s ogling, lip-pursing, strutting, nostril-dilating style which makes the offense altogether endearing. We can’t recall when we’ve ever held a monster in such complete affection. But, of course, Mr. Laughton’s Laughton-ism has slowed things down. He is such a bulky man to get into motion. We had the impression, as the film rolled on, of Hitch rushing the action to his doorstep and then having to wait three or four minutes for Laughton to answer the bell. Actually, the wait must have told more on Hitch than it did on us. The review that was published in Time magazine seems to have a similar viewpoint. “Jamaica Inn (Mayflower). Fans of director Alfred Hitchcock had a surprise in store for them when they got the wrappings off this Hitchcock picture. They found it was no Hitchcock but an authentic Laughton. Scarcely a shot in the whole picture revealed the famed British director’s old mastery of cunning camera, sly humour, [and] shrewd suspense. But Charles Laughton’s impersonation of a Nero-like Cornish squire who is the paranoiac brain behind a gang of land pirates was magnificent in the eye-rolling, head-cocking, lip-pursing, massively mincing Laughton style. 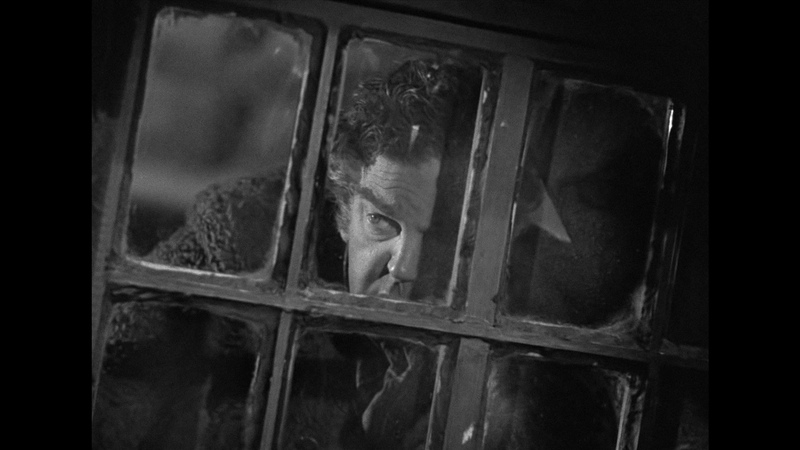 One wonders what Jamaica Inn might have been like if Alfred Hitchcock had more control over the project. It is impossible to know for sure, but one would assume that he would give the film a more subjective treatment. Contemporary critics tend to respond more negatively to the film, but it is important to understand that they are coming to the film with a much larger catalog of Hitchcock films in which to compare this early work. Hitchcock was already an established master of suspense in 1939, but he had yet to create most of his best films. It is also important to remember that until now, only inferior prints and transfers of Jamaica Inn have been available. As a matter of fact, many of the American public domain DVD releases of the film are missing approximately 8 minutes of footage! One has to question whether or not these critics were watching decent prints. This brings us around to this new restored version of Jamaica Inn. The Cohen Media Group partnered with the British Film Institute to undertake a full 4K digital restoration of Jamaica Inn that was based on the BFI’s original nitrate negatives. The resulting print premiered at the 2014 Cannes Film Festival (it played in the Cannes Classic section), and also screened at the New York Film Festival. Charles Laughton was Alfred Hitchcock’s biggest challenge during the production. How does one direct an actor when the actor is also the producer and has the final word? The Blu-ray disc is protected by a clear Blu-ray case (similar to those used by Criterion) with film related graphics. Inside the case is a small booklet that features chapter stops and film credits. These pages are illustrated with photographs from the film. 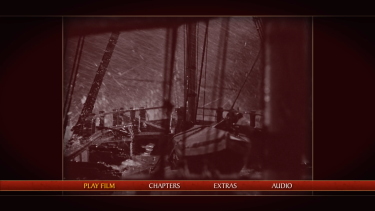 The animated menus utilize footage from the film with music from the film’s credits. The Cohen Media Group and The British Film Institute deserve praise for their 4K digital restoration of Jamaica Inn. A lot of painstaking time and effort went into the restoration. …Once scanned, the 4K sequence required huge amounts of stabilization to combat the shrinkage. Image warping also needed to be electronically pinned as the images were effectively bouncing around the screen. The nature of these issues required multiple software fixes on a frame by frame basis before the dirt and scratch removal could begin. The density within the image also fluctuated creating a pulsing effect which again had to be mapped and removed digitally. Their efforts were certainly not in vain. This transfer is an absolute revelation. The ghastly DVD versions that so many public domain houses released can be promptly tossed into the garbage bins. In other words, this is much more than an upgrade in picture resolution. The dual-layered disc allows for a high bitrate that showcases this new restoration to maximum effect. The image exhibits much better contrast than anyone might expect, and this adds clarity to an already detailed image. The nitrate source materials make for a very cinematic image with a slight layer of grain that reminds us that we are watching a movie that was shot on nitrate film without ever becoming distracting. Most should be happy that the team did not go crazy with DNR. Tears in the print, dirt, scratches, and other anomalies have been properly eradicated. There may be a few rare instances of such flaws, but they aren’t at all distracting and should go unnoticed by most viewers. This is an example of a frame from the film before the restoration process. This is an example of a frame from the film after the restoration team fixed the image. 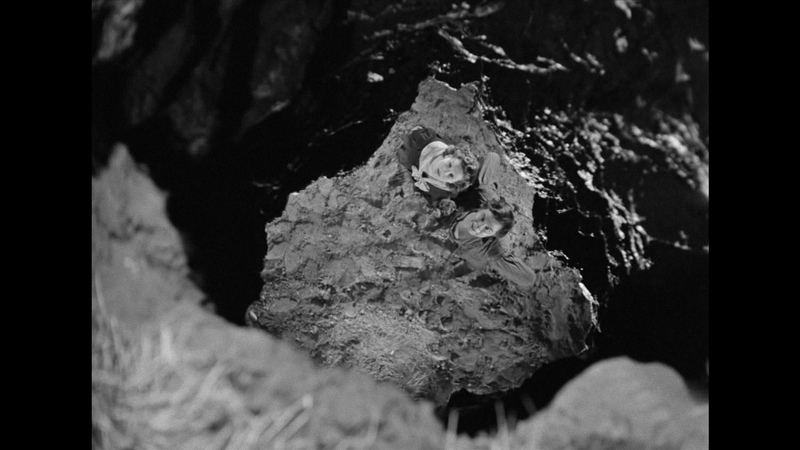 The full version of the film is happily represented here in a suburb black and white transfer that is free of any Chroma. Alfred Hitchcock fans have reason to rejoice. The audio also required a great deal of restoration. The film’s audio track has been greatly improved by these efforts. It is quite clean for a film that is 75 years old, and the mono transfer seems to represent their work quite well. One can now experience Jamaica Inn without a wall of distracting hiss that seemed to haunt so many transfers of the film. Pops and crackling noises have also been greatly reduced (if not entirely obliterated). The opening music by Eric Fenby isn’t nearly as dynamic as it might be on a more recent release, but it is certainly within the realm of what one can reasonably expect from a 75 year old film. Maureen O’Hara & Robert Newton didn’t exactly set the very flammable nitrate film ablaze as love interests. However, Hitchcock does manage to hold our interest. Jeremy Arnold is an author and film historian that has written over 500 programming articles and film reviews for the TCM website. He also has a few books about various classic films to his credit. His commentary track is surprisingly good. It is quite informative without ever becoming overly dry. It maintains the viewer’s interest throughout the entire length of the film. It is well worth the audiences time. This featurette is essentially a video essay by Donald Spoto. Spoto is the author of two of the more controversial biographies about Alfred Hitchcock. The liner notes list this program as a “video essay.” Actually, it is more of a laundry list of trivia delivered in a scholarly tone of voice. It is nice to have here, but it is vastly inferior to the excellent commentary track. As a matter of fact, it doesn’t particularly focus on the actual making of the film very much. However, it seems somewhat ungrateful to criticize this featurette. It is much more than one might expect. After all, the film is 75 years old. The restoration trailer is also included here. Maureen O’Hara establishes herself as a feisty heroine in her first starring role. 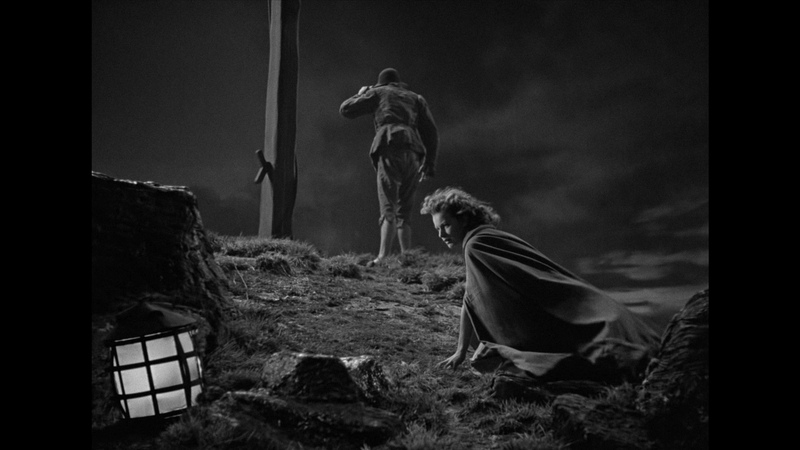 Jamaica Inn isn’t one of Alfred Hitchcock’s best films, but it is both diverting and essential viewing for fans of the director. 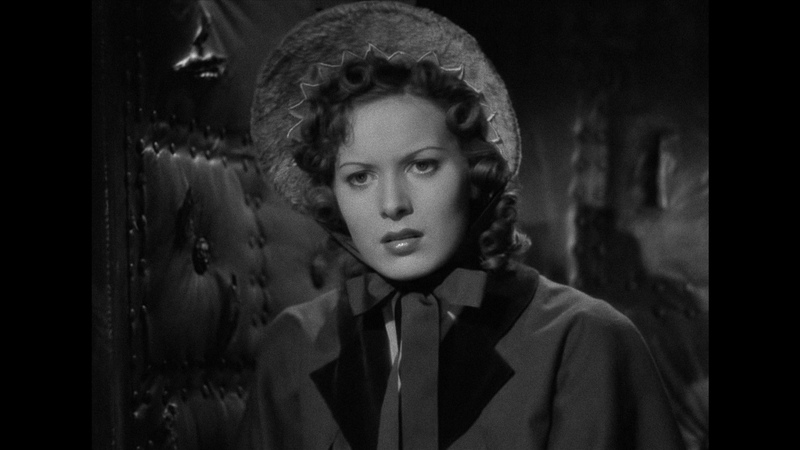 Not only is it the final film made by Alfred Hitchcock before starting a career in Hollywood, but it is also the screen debut of Maureen O’Hara (or at least her first appearance that was credited to “Maureen O’Hara”). Those who have not yet seen this new 4K restoration print of the film will want to do so immediately. I think we can safely say that this is an Alfred Hitchcock film, even if Laughton’s control of the project kept it from having his usual subjective treatment. 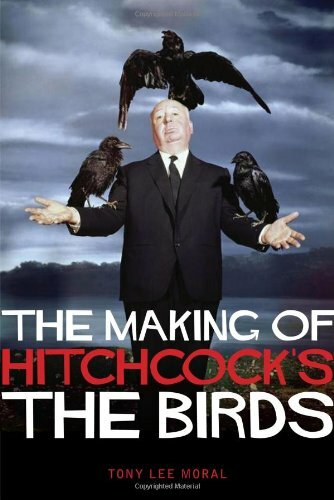 Those who have read Tony Lee Moral’s “Hitchcock and the Making of Marnie” will not be surprised to hear that his book about the making of The Birds stands as one of the better books about the creation of a single Hitchcock film. Moral covers his subject in exhaustive detail. The book begins with the genesis of Daphne du Maurier’s short story and works its way through the film’s release. Every stage of the film’s production is given equal attention using files from the actual production that are held at the Margaret Herrick Library, archival articles and interviews, personal interviews, previously published books on the director’s work, and other sources. Moral’s work will serve both the film scholar and the casual fan in equal measure. One is especially appreciative of Moral’s understanding that it isn’t always wise to accept everything one hears or reads. He seems to question certain stories and comments made from individuals involved with the project. He often raises questions about the validity of some of the information he presents instead of accepting it at face value simply because it would make for an interesting story (or support an agenda). Moral makes an honest attempt to present multiple perspectives in a manner that leaves the conclusions up in the air for the reader to sort out. This is a very responsible approach to scholarship, and one cannot say this about a lot of texts that focus on Hitchcock.